Better late than never, Microsoft seems to have finally understood the importance of user privacy in today’s world. Hence, the company is now testing an end-to-end encrypted chat feature called “Private Conversation” on its wildly popular messaging platform Skype. To bring end-to-end encryption (E2EE) security to its messaging platform, Microsoft has decided to utilize the widely accepted Signal protocol. It’s been developed by Open Whisper Systems and powers the E2E encryption for WhatsApp as well. In Skype, it does not only work with text messages but with files like images, audio, or videos as well. However, Microsoft hasn’t implemented E2EE encryption in a manner similar to WhatsApp, making every conversation end-to-end encrypted from the get-go. Instead, the Redmond giant is adopting an opt-in strategy that allows you to start a private conversation when you feel like it. How To Start Private Conversations? 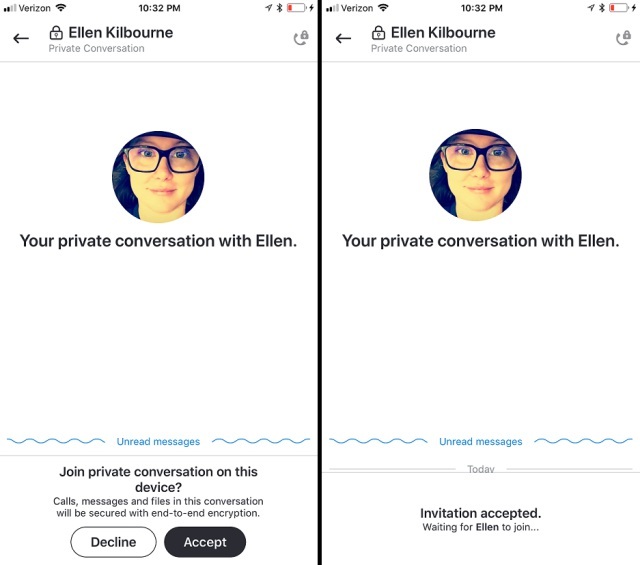 If you have the latest version of Skype Preview installed on your device, then you can try out the ‘Private Conversation’ feature simply by jumping into the compose menu or from the recipient’s profile itself. It allows you to send an invite to kickstart an E2E encrypted chat. Once the recipient accepts your invite, every audio call or message in the conversation is encrypted. It is up to your choice when to end the same. This implementation is quite alike to what Facebook has done with its Messenger app. You’ll see a ‘lock’ icon prior to the recipient’s name when you’re chatting within a private window. Microsoft further states that you can participate in a private conversation from a single device at a time. It is possible to switch devices but the chat will be linked to the device you’re using at the current moment. This is a great initiative from Microsoft, but one of the most used features, video calling, hasn’t been encrypted. The ‘Private Conversation’ feature is currently only available to Skype Insiders, who can try it out by installing the preview app on any of their devices. The feature has gone live on all major platforms for Skype v8.13.76.8, be it iOS and Android phones or Windows, Linux, and Mac desktops. There is currently no information on when end-to-end encrypted chats will make their way to every user, but it is obviously a much welcome move from Microsoft. It has now joined other popular chat apps, such as WhatsApp, Facebook Messenger, Telegram and more, to secure all the messages exchanged by users – even though WhatsApp is under fire lately over a serious flaw in the way group chat invites are managed. 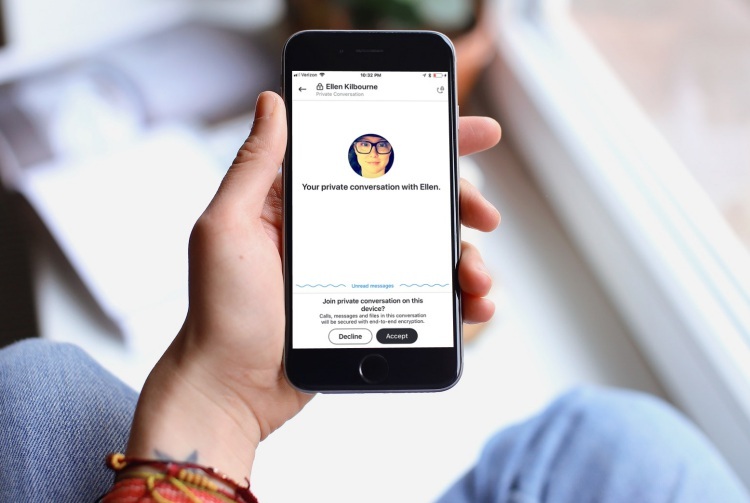 It’s highly possible that you’re already using an E2E encrypted chat platform for your daily social needs. So, would you be willing to make a switch to Skype now? Let us know in the comments down below.